Black trio maxi tripod folding seat stick. 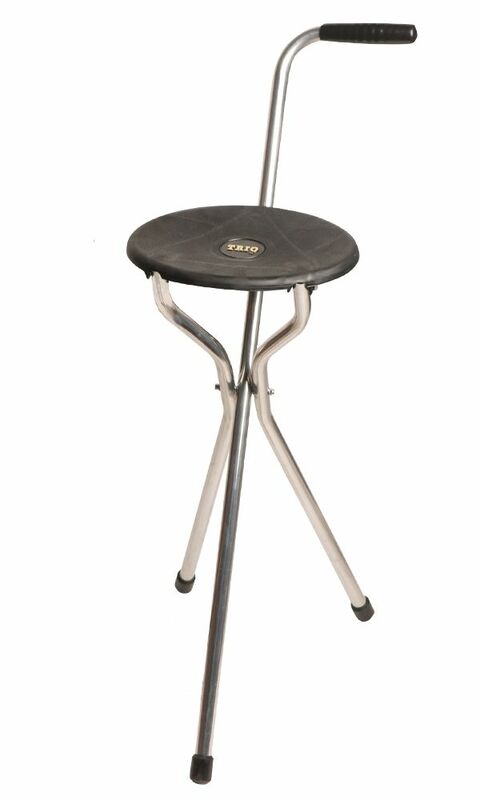 The Trio maxi tripod seat is a three-legged folding seat that can also be used as a walking stick. The legs of the Trio maxi tripod seat are made from polished aluminium; the plastic seat is made from a robust black plastic. This is a very practical and durable seat stick that will become an indispensable aid for support and balance.This seat stick is ideal for picnics, fishing and many other outdoor activities. Height to handle 84cm (33") and 57cm (22.5") seated. The seat width is 25cm (10"). Max weight load 19.5 stone.